As an encumbrance is not always an ownership interest, property subject to an encumbrance may be bought or sold subject to the encumbrance, and in this case, the buyer will be bound by the encumbrance unless released prior to or at settlement. Easements: Are a non-possessory right of use and/or entry onto land, which gives a person the right to use part of a property owned by someone else. For example, easements may allow gas, water, or sewerage to flow through the property, and are often granted to local councils, the Water Corporation, Western Power and Main Roads WA. These rights may also include the right to drive across the property and is usually referred to as a ‘right of way’. Liens: Are an interest in property held as collateral against a loan or other debt and are not an ownership interest but a non-possessory interest, but may include the right to foreclose (e.g., a mortgage). Liens may be imposed as part of financing (again a mortgage) or may be involuntarily imposed due to non-payment of taxes or special assessments. Leases: A lease grants the tenant exclusive possession over land, and is sovereign over even a sale transfer of the property during the time that the lease is current. In other words, if a property is sold with a tenant who has a current lease, then they continue to enjoy occupancy until such time that the lease expires. 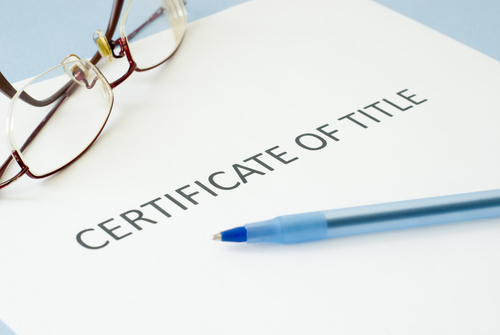 Commercial leases are usually registered on title, whereas residential leases are not. Covenants: Are usually a restriction on the use or development of land. This is called a restrictive Restrictive covenants tend to focus on the type of building or activity permitted. Memorials: Are an encumbrance that places some form of notice or restriction on a property. For example, the Western Australian Planning Commission may place a memorial on the Title stating that the land is reclaimed swamp, to allow buyers to take into account any potential issues associated with reclaimed swampland. Profits Ã Prendre: Profit’s Ã prendre allow the holder to take something from a property, such as tree plantation timber, crops, soil, rocks, or minerals without owning the property. Take home message: It is always very important when buying or leasing land to fully understand the detail of any encumbrance registered on the title. WA Property Lawyers always provide this information to their Buyers with advice on any implications.